LegalZoom is an online legal services and forms resource for small businesses. Through simplified self-guided legal services or an independent attorney, LegalZoom's services and forms cover everything from starting a business legally to tax, licenses and permits. Pros: Website is nice. Good customer support. Cons: Services are expensive. Can be slow. Bottomline: LegalZoom's website is easy to navigate, and it has a wide range of services and forms available, but things can become expensive. What is LegalZoom's price range? LegalZoom's pricing varies considerably from service to service. Is there a LegalZoom free service? LegalZoom does not offer a free service at this time. 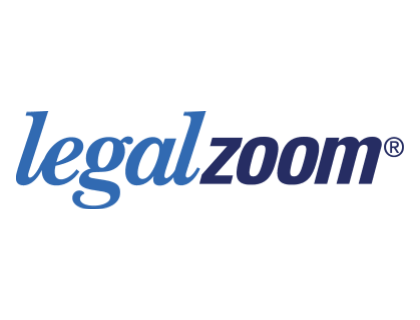 Where can I find the LegalZoom login? Go to legalzoom.com and click on "My Account" in the top right corner of the homepage. Click on "sign in" or sign in directly here. What are some LegalZoom alternatives? Ultimately legal zoom provides a lot of services, but it also charges more than the other services, and if time is of the essence, Legal Zoom is the slowest in processing applications. Haven't used LegalZoom for an LLC, but I have for a provisional patent. They were very good. I have to say it: LegalZoom is the biggest waste of time and money.